Colore: Bianco. Durante tal periodo, vi preghiamo di essere con pazienza perché ci impegniamo a risponderVi il più presto possibile. 100% nuovo e di buona qualità. Feather boa;fed feather boa. Note: Light shooting and different displays may cause the color of the item in the picture a little different from the real thing. Hawaiian Lei. 1 Lei, 1 Headband and 2 Wristbands. Ideal For Hen Nights And Tropical Beach Parties. Great for luau, hula, fancy dress party, etc. 15cm (headband). Flower Headband x 1. Flower Necklace x 1. Flower Bracelets x 2. 35cm (necklace). Note: Due to the difference between different monitors, the picture may not reflect the actual color of the item. Guirlande de fleurs hawaïennes, rend votre parti plus amusant avec cette décoration. 1 4Pcs mis des guirlandes de fleurs hawaïen. Rétroaction positive est très importante pour nous. 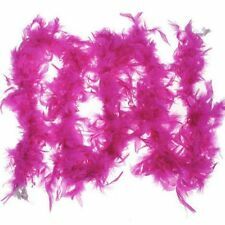 1 2M Decorative Feather Chandelle Boa Craft Decoration (Light Purple). - Material: Feather. 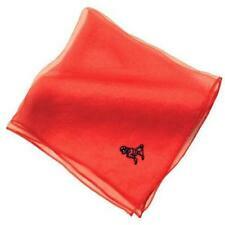 This item is manufactured with premium material for durable and long lasting use. Simple and creative design shows its elegance and your attitude towards life. 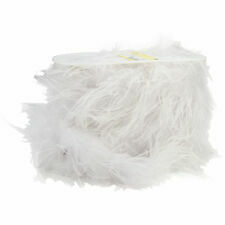 2m fluffy feather boa strip feels soft and smooth. Suit to use as boa,decorations for lamp,room,etc, as you like. 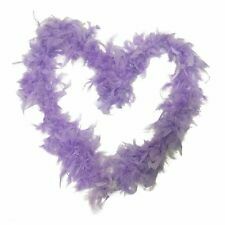 1 x Feather Boa Strip. Material: Feather. We'd like to settle any problem in a friendly manner. Hawaiian Flower Garland, makes your party more fun with this decorations. 1 4Pcs Set Hawaiian Flower Garlands. Classic Hawaiian style and high realistic appearance. Suitable for both indoor and outdoor use, can be used as a necklace. 10 Hawaiian Themed Flower Garland Necklaces Approximately 100cm in Length Ideal for Hawaiian and Luau Themed Events A Great Fun Item for Many Occasions . 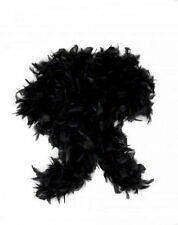 Color: BlackQuantity: 1Pc ;Material: Feather Feather Length: 10cm 3.94'' (Approx.) Dress Cloth Length: 50cm/19.69'' (Approx.) Package Included: 1 x Feather Neck CollarThis black feather dress cloth is lightweight, soft, and easy to wear,which can be used for neck collar,wrap and dress when you are in the party,carnival or other occasion.ltavoz: 40 mmImpedancia: 32ohmRespuesta de frecuencia: 20Hz-20KhzSensibilidad (S.P.L): 102 /- 3dBTipo de enchufe: 3,5 mm estereo (dorado).Longitud del cable: Aprox. 2.2m / 7.21ftTamano de auriculares: Aprox. 20.0 * 18.0 * 7.0cm / 7.87 * 7.08 * 2.75inPeso del auricular: Aprox. 204g / 7,18 ozLista del paquete:1 * X11 Profesional Gamin auriculares Brand Unbranded MPN Does not Apply UPC 190268079143 I.
HAWAIIAN 4 PIECES SET HULA FLOWER GARLAND LEI SET FOR HULA BEACH FANCY DRESS PARTIES. COMPRISING 1x FLOWER GARLAND, 1x FLOWER HEAD BAND AND 2 WRIST/ANKLE BANDS. NEW S Paisley Print Bandana/Scarf Bikers 5 Colours Middle Eastern 60s 21" x 21"
1x Gold Gangster Necklace. Party Bag Fillers : �2.00 - �2.99. Party Bag Fillers : �1.00 - �1.99. Party Bag Fillers : Upto 99p. Party Bags. 10 pcs Hawaiian Beach Luau Party Flower Garland Lei Leis Necklace Colorful Deco. 10 x Hawaiian lei. Mixed colors, including blue, green, yellow, red, purple. We'd like to settle any problem in a friendly manner. You can use their imagination, to learn more about the lines. Easy to match with your outfits. Color: White black. This multifunctional wear-head can be used in many different ways for different activities. 1 x 4PC HAWAIIAN FLOWER GARLAND SETS. ONE elasticates head garland. ONE elasticated neck garland. Ideal for Hawaiian fancy dress, beach parties, hen nights, etc. Each set includes ONE SIZE WILL FIT CHILD OR ADULT. Feather Boa nero. Borsa riempitivi: 2.00 - 2,99. Borsa riempitivi: 1.00 - 1.99. Borsa riempitivi: Fino a 99p. Partito Borse.